It happens to every single person…..and it usually happens more than once. Everyone goes through moments of weakness when they throw all their common sense out the window, ignores their budget, and buys on impulse. It actually happened to me just last week. Yep. You read that right! Miss Sweet Frugal Life ignored her own advice and didn’t stick to her budget. I have been slowly trying to decorate my music room. When we moved into our house two years ago this room sat completely empty. We have had to buy all new furnishings, and it has been expensive. 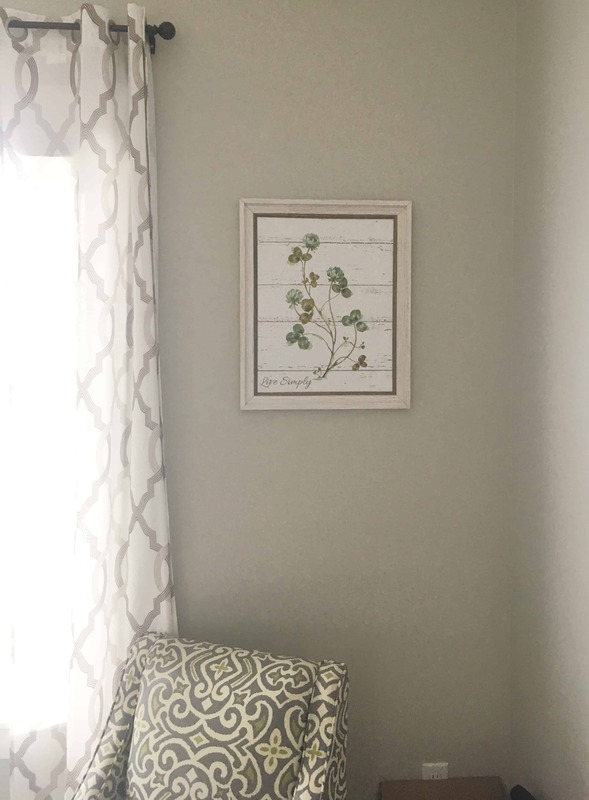 We did everything “by the book.” We budgeted $50 for two frames from Hobby Lobby. I stuffed my cash envelopes with the exact amount. And I went shopping. After a quick browse through the clearance section, I walked straight back to the frames. Unfortunately, while on my way I walked past a picture that stopped me in my tracks. It was perfect and EXACTLY what I needed to finish decorating my music room. I honestly thought that this picture was made for my house. 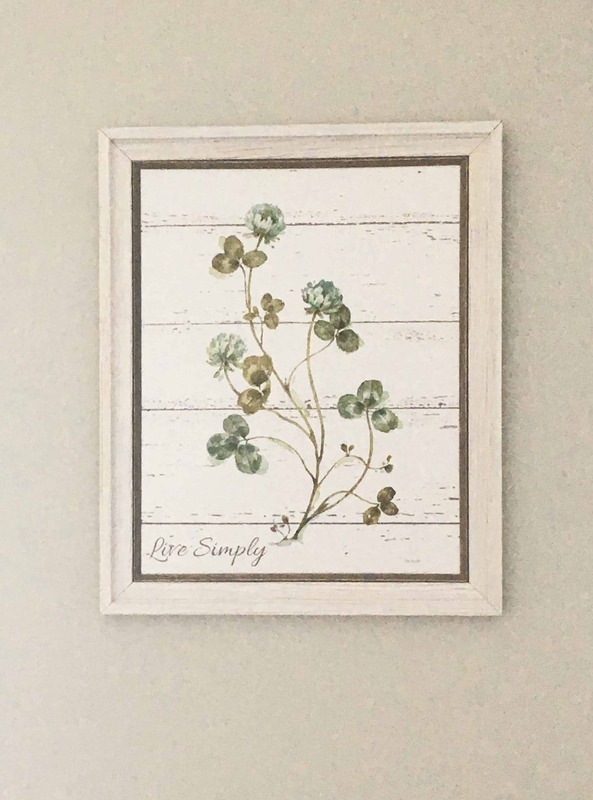 The colors and the style was just what I wanted and I already knew which wall I would hang it on. I KNEW that I shouldn’t buy it. 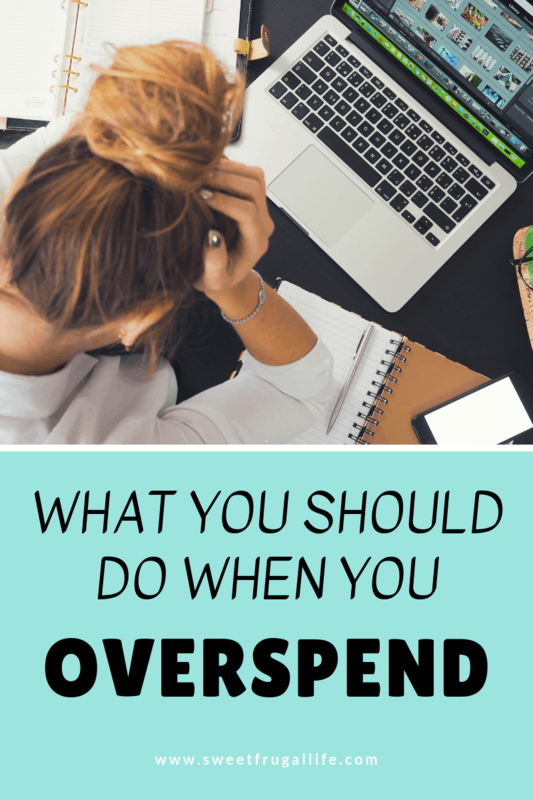 I understand Spending Triggers and I teach people daily how to avoid them. I stood in the exact same spot at Hobby Lobby for ten minutes while an internal debate ensued in my head. I knew I shouldn’t buy it. I only had enough money in my cash envelope to purchase the two frames, and I REALLY wanted the frames. You all know how the story ends. I let out a sigh, threw caution to the wind, and bought that picture using my credit card. I’m not proud of this moment. I sure wish I could tell all of you that I’m perfect ALL of the time and never impulse shop! But, that just would not be true. I’m just a regular lady trying my best….and sometimes that means failure. Has this ever happened to you???? If it hasn’t yet, I’m sure it will someday! 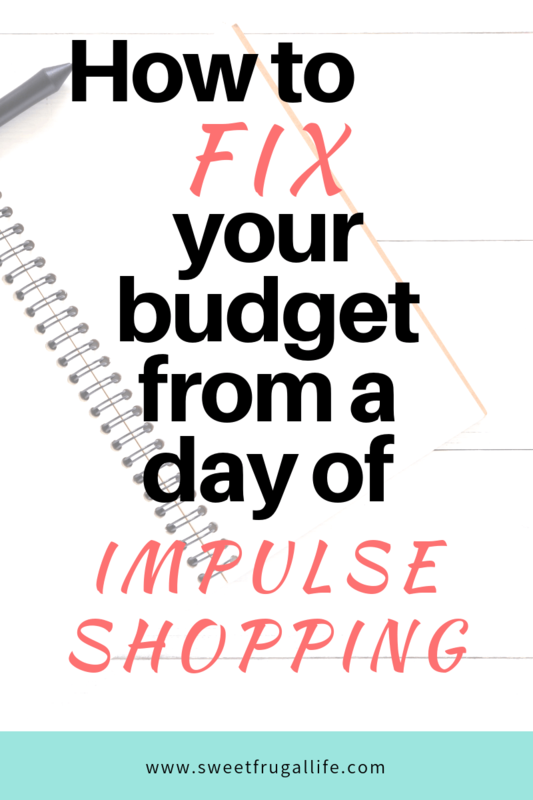 Here are a few ways you can recover from impulse shopping. Do not take off any tags or packaging for at least one day. Set the item somewhere in your house where you will look at it often. This will give you time to decide if you TRULY TRULY want to keep what you bought. Most of the time when I do this exercise I learn quickly that I don’t want the item as much as I thought I did while at the store. The guilt usually gets the best of me and I decide to take it back to the store. Other times, such as the case of this picture I decide that I do really want to keep it and I am pleased with the purchase. When the guilt is more than you can handle you should take whatever you bought back to the store and return it. You can return just about anything, and it’s always super quick and easy to do, just make sure to always keep your receipts for a smoother process. Whenever I return an impulse buy I immediately feel the guilt being lifted from me. I have NEVER regretted a turn….but I HAVE regretted many purchases….think about it. If you decide you DO want to keep your purchase, which is fine, you will need to come up with extra money to cover the cost. One of the quickest ways to earn extra money is to sell something. If you’re stumped on what to sale, I have an article all about what sales best! This is what I decided to do last week. I had a lamp in my music room that I liked, but I just hadn’t been loving. I have been contemplating getting rid of it for months and knew that this was the perfect time to do so. 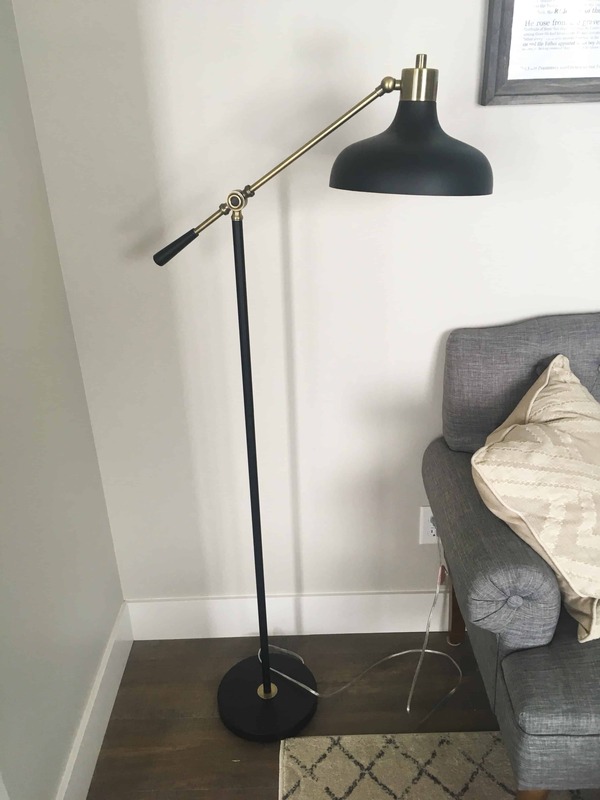 I quickly listed the lamp on Facebook Marketplace and was able to earn $40 from it! This easily covered the cost of the picture (plus an extra $10)! It is perfectly acceptable to move money around in your budget from time to time. Try not to make a habit of it, but occasionally will be fine. Take a good look at your budget and see if there is anything you can adjust to cover the costs of what you bought. Could you cancel your plans to go out to dinner that night? Or pass on a new pair of shoes? Find something (anything!) you can do without for this month and use that money to cover the cost of your purchase. If the amount you spent was considerably high you might want to consider getting a temporary (or permanent even!) side hustle. Is their a skill you have that could bring in a little extra money? Could you sell a craft? Babysit a child? Dog walk? Clean houses? I truly believe EVERYONE has MULTIPLE talents they can offer to the world to bring in extra cash. Make a list of your talents and choose one or two to turn into a side hustle. Honestly, I’m glad I came across this picture. It completed our music room and it’s a purchase I am so happy with! BUT…..I should have waited to buy it until we budgeted the money for it. I made a mistake! I learned from the mistake! And next time I will not make the same mistake again. Budgeting, frugal living is not about perfection….it’s about PROGRESS! Have you ever had a similar experience??? How do you recover from a spur of the moment buy??? Let me know in the comments! Loved this! It was good for me to read the spending triggers too. I’m guilty of a lot of those. I think that’s why I’m so drawn to Marie Kondo and her methods of minimalizing and really appreciating what you already have!! Yes! I was thinking a lot about Marie Kondo as I was writing. It’s so important to learn to love what you have! I felt this to my soul. I will be using your tips the next time make impulsive shopping sprees. I love that you say to give it a day! I can’t tell you how many times I’ve bought items on impulse only later to realize that I didn’t want the item as much as I thought! Great ideas here for sure. I often return it the next day. That is a great solution!